The Egyptian foreign ministry has condemned a terrorist attack at a restaurant in the Iraqi city of Mosul which killed four people on Thursday. In a statement, the foreign ministry said that the Egyptian government offers condolences to the Iraqi government and people, asserting Cairo's full solidarity with Iraq in its efforts to achieve security and stability. The statement renewed Egypt's call for the necessity of intensifying international efforts to eradicate terrorism in all its forms, eradicate its roots, and stand against extremist ideas. On Friday, Egypt’s Foreign Minister Sameh Shoukry phoned his Iraqi counterpart Mohamen Al-Hakim to congratulate him on assuming his new post. 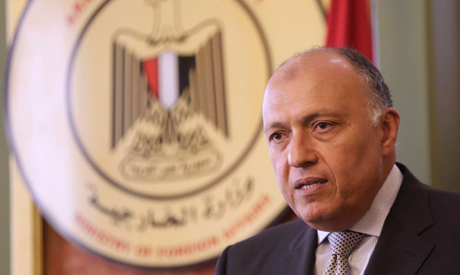 Shoukry stressed his keenness on bilateral cooperation on matters of mutual interest, said Egyptian Foreign Ministry spokesman Ahmed Hafez. Shoukry also expressed his condolences for the Thursday attack.